It can be frustrating when people resist the change you are implementing. When the people who need to change the way they work are pushing back, procrastinating or otherwise halting progress, the knee-jerk reaction may be to get their boss involved. After all, it’s easier to use the authority that’s already in place to get people to go along with change than it is to influence when you don’t have authority. But, getting the boss involved should not be your default way of handling resistance. The following are three reasons not to escalate the issue up to the boss when people resist change – and one reason you should. When someone isn’t participating at the level you expect, calling in the boss usually means relying on authority to get that person to close the gap. If someone is procrastinating, you get the boss to set deadlines and follow up. If someone is pushing back, you get the boss to insist it be done. But the real issue is not procrastination or pushback. These are only symptoms of resistance. The real source of resistance, which may be fear, lack of ability, a misunderstanding or something else, cannot be addressed by strong-arming someone into submission. Using the boss’s authority to force an issue may work in the short run to get someone to budge. But even though you might break the logjam, it doesn’t mean the resistance is gone. In fact, by undermining someone’s autonomy and emphasizing authority differences, you will most likely increase opposition to your change initiative. Compliance is not the same as commitment. Getting the boss involved when we’re frustrated with someone else is a holdover from childhood, akin to tattling. In the absence of our own authority, or to avoid conflict, we recruit someone with the power to motivate, punish, or coerce. But if you assume direct authority is the only way to get things done, you restrict your own ability to influence. And going over someone’s head and making them look bad to their boss only serves to reduce trust in you, further diminishing your influence. No one wants to work with a tattletale, not even the boss. Once you try to understand the person who seems to be digging in their heels, you might find the underlying source of resistance is in fact a lack of support from the boss. If the boss sends mixed messages, or doesn’t hold people accountable, or needs to free up resources to support change, then by all means, go to the boss as the source of the resistance. Then your intent is not to exert pressure on those who are not getting with the program, but to focus on what the boss can do to best support the change in their area. Managers have a crucial role in implementing change, because they have authority in the organization. But their authority is not a weapon of influence to use against people who are resisting change. Forcing compliance is a last resort with at best short-term gain. Excellent advice. Using the “power behind the boss” to get what you want just makes people more frustrated and angry. Much better to work with the individuals and find out what is behind their resistance. Show people that you care about them and their issues and you will get miles further than mandating change because the boss says to do so. 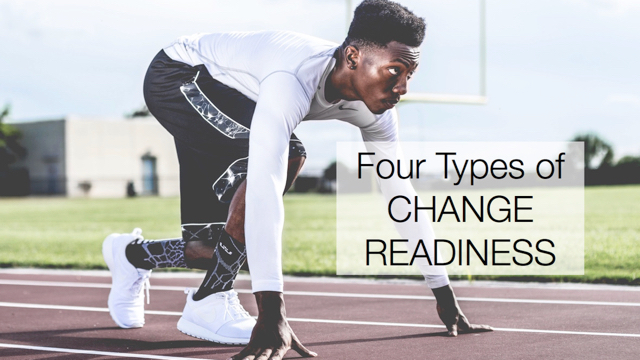 People need to be given the opportunity to accept, adopt and adaptto change at their own pace.